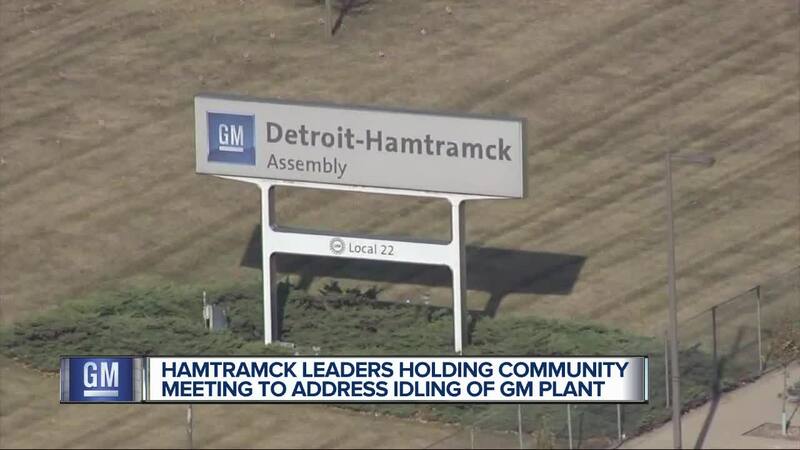 Mayor Karen Majewski of Hamtramck says during the 1980s General Motors demolished their Poletown neighborhood of hundreds of homes, business and churches to make way for a new production plant that is now set to close next year. All stakeholders are invited to attend a Town Hall Meeting Saturday at 9:30am at the Hamtramck Public Library, 2360 Caniff. Mayor Karen Majewski of Hamtramck says during the 1980s General Motors demolished their Poletown neighborhood of hundreds of homes, business and churches to make way for a new production plant that is now set to close next year. All stakeholders are invited to attend a Town Hall Meeting Saturday at 9:30am at the Hamtramck Public Library, 2360 Caniff. “We’re really interested in the collective ideas of our residents,” Mayor Majewski says. This is personal to Hamtramck because of the sacrifices made more than 35 years ago. "That legacy is always going to be in the back of people’s minds. There are a lot of stakeholders here and we want to make sure they are given the opportunity to be heard,” the Mayor said. Present day is also painful, losing 1,500 jobs and the Mayor says almost a million dollars a year in local city tax revenue, one sixteenth of the city budget and more lost revenue for Hamtramck schools. “They are absolutely staggering for us,” Mayor Majewski says. She can’t rule out cutting essential city services including police and fire in a city that has gone through a state appointed Emergency Manager. “What services we can deliver to our community and the quality of life for our residents and the viability frankly as a city,” Mayor Majewski says.